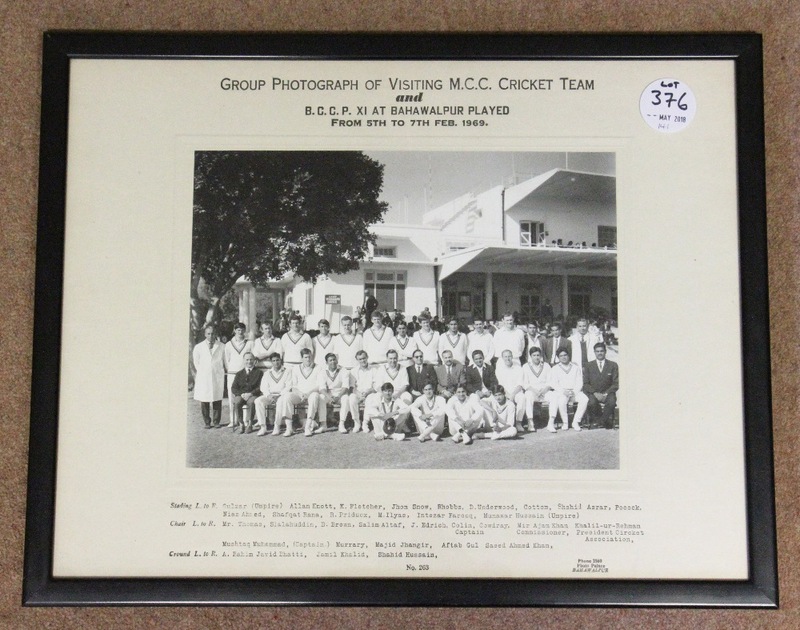 1969 Group Photograph of Visiting MCC Cricket Team and B.C.C.P. 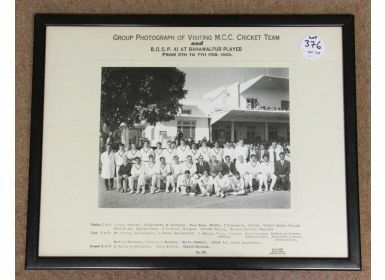 XI at Bahawalpur played from 5th to 7th Feb 1969, framed and glazed. From the personal collection of Bernard Thomas with signature to verso, who was the physiotherapist for the England team between 1970 and 1985.